A major crypto exchange in Latin America, Cryptobuyer, works with Bitcoin, Litecoin and Dash. It also runs a chain of crypto ATMs. Recently, Cryptobuyer began promoting its ATM line by offering customers Dash at zero fees. Along with Bitcoin, this privacy-oriented coin is widely used in Venezuela and other countries of Latin America that suffer from hyperinflation and a deep economic recession. Now, Cryptobuyer has also partnered with the popular local department store chain Traki, which uses crypto as means of payment. In particular, it accepts Dash. Now the chain store will use the Dash point-of-sale solution provided by Cryptobuyer, taking another step towards crypto’s mass adoption. This collaboration will allow people to buy Dash in Panama with no extra fees and send it to their friends/relatives in Venezuela, who will then be able to spend it in Traki. The head of Dash Core Group, Ryan Taylor, hopes that this move will accelerate an overall adoption of Dash in the country. 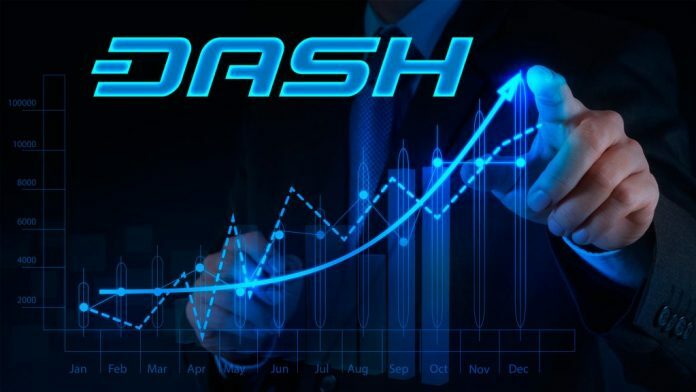 Dash, as he said in an interview to the local media, is getting more and more popular in Venezuela, since this digital private coin is much more reliable that the local fiat currency bolivar. Taylor also mentioned that this initiative from Cryptobuyer was expected to take place sooner or later. Now, the Dash market will become much easier to enter. Cryptobuyer will begin its new Dash integration at one of Traki’s popular stores. Should it succeed, later in 2019, it will spread to nearly 50 stores in the chain operated by Traki. Dash has been getting more and more popular in Latin America, replacing local fiat currencies. Jorge Farias, the CEO of Cryptobuyer, is positive that this area is much more progressive in terms of actual crypto adoption that the rest of the world. He admits that the company’s team is proud of helping this adoption to get wider and deeper. Cryptobuyer also plans to expand this initiative to neighbouring regions, such as Argentina, Mexico and Central America. Currently, Venezuela is widely relying on Dash after its massive economic recession and hyperinflation. Around 2,500 merchants there accept Dash. Colombia is now moving in this direction as well with nearly 330 stores accepting Dash for their goods.